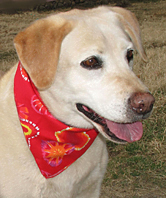 ICARE helps many pets in need! 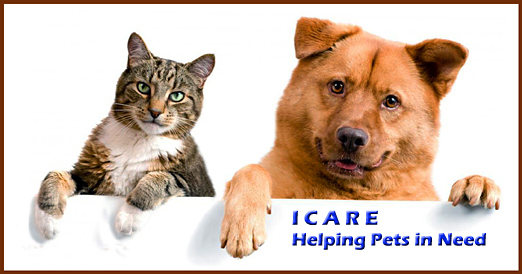 ICARE (Inyo/Mono County Animal Resources & Education) is a non-profit organization dedicated to the welfare of companion animals. Our area of service is Inyo and Mono Counties in central California, east of the Sierra Nevada mountain range. We are committed to raising public awareness of companion animal welfare issues, including responsible pet ownership and the importance of spaying and neutering your pets to help end the pet overpopulation crisis. We encourage everyone to adopt their pets from local animal shelters. 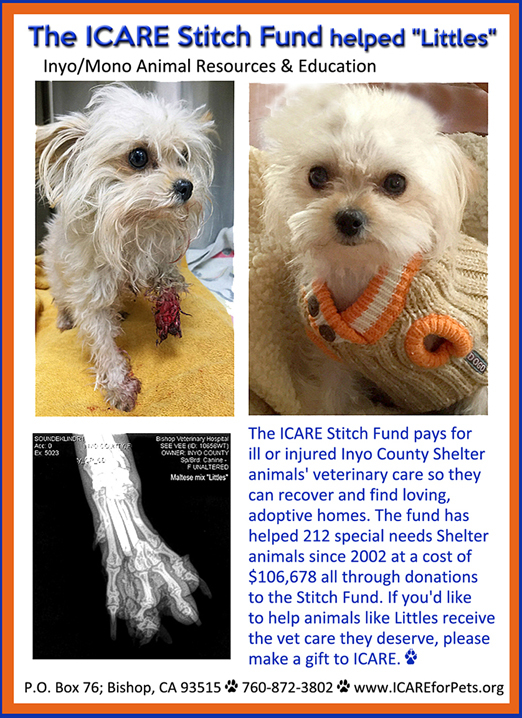 We also provide financial assistance, through donations, for pet owners who can't afford to have their cats or dogs spayed and neutered.ICARE's Stitch Fund provides veterinary care (through donations) for ill or injured Inyo County Shelter animals. This is just a brief description of what ICARE does. 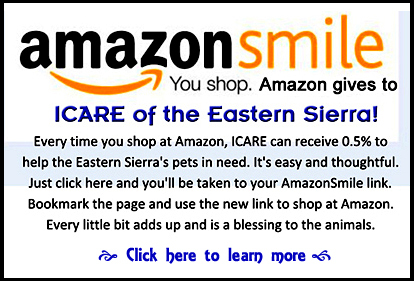 Please visit the Programs and Accomplishments page to learn more about who we are, the valuable work we are doing for the Eastern Sierra's companion animals and how you can help make the future brighter for all cats and dogs.